Serbia is an important market for inbound tourism in Bulgaria. Last year the tourist visits by Serbian citizens in Bulgaria were more than 421k which is a 7% increase as compared to the previous year. These were the words of the minister of tourism Nikolina Angelkova during a workshop with representatives of the Serbian tourist business. 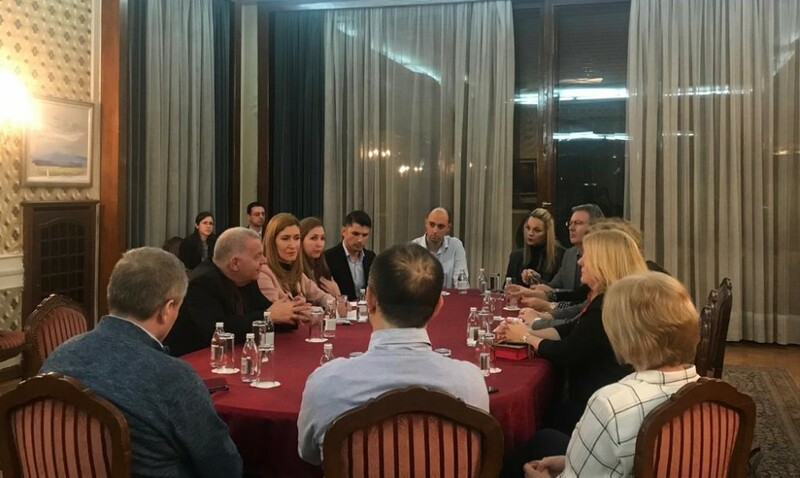 Mariya Labovich – director of the National Tourist Organization of Serbia, Tiyana Malkova – secretary of the tourist company in the Serbian Chamber of Commerce and Industry and the business representatives Marko Levayach, Igor Relich, Dragana Dimitrievich etc took part in the discussion. “We are working actively in order to popularize Bulgaria as a tourist destination during all 4 seasons, the market of Serbia is also in its focus,” said minister Angelkova. She also pointed out that 12 wine and culture destinations, covering 55 municipalities and more than 100 tourist attractions were developed together with the Bulgarian Ministry of Agriculture, Food and Forestry. “I think that this project will be of interest to Serbia as well, “ commented the minister. She invited representative of the tourist business to participate in a forum for sustainable investments in tourism which is planned for the end of May 2019 in the biggest and most popular Bulgarian sea resort Sunny Beach. Minister Angelkova pointed that the event had been planned for professionals and experts in the sector and that more than 300 participants were expected to take part in it. B2B workshops were also planned and discussions with Bulgarian tour operators, working on the Serbian market and vice versa could also be arranged. During the meeting another two meetings were negotiated in March and April respectively between the Serbian and Bulgarian business representatives in order to strengthen the cooperation. Joint tourist products were discussed with the business for far markets such as China where Serbia has made a huge progress following the visa facilitation. “Bulgaria is a preferred tourist destination, we notice how well the sector has been developing in the last years and we observe with interest the popularization of yours, “said Tiyana Malkova. She added that the Bulgarian citizens also often prefer Serbia as a tourist destination. But it would be nice if they travelled all over the country and did not visit just Belgrade. The tourist business representatives pointed that most popular were the Bulgarian winter resorts; most often the Serbian tourists traveled to Borovets, Bansko and Pamporovo. They emphasized that they worked very well with their Bulgarian colleagues and that they hoped to keep their good collaboration. Minister Angelkova thanked for the fruitful dialogue and added that she really hoped that the partnership between the countries would continue in the future.